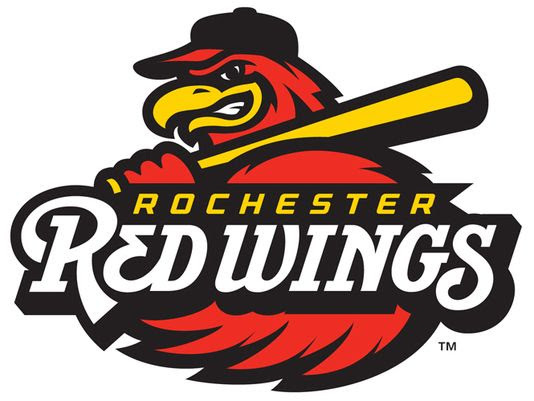 ROCHESTER, N.Y. -- The Louisville Bats defeated the Rochester Red Wings 12-5 Tuesday afternoon at Frontier Field, in front of a Camp Day crowd of 8,221. The teams meet again Wednesday night at 7:05 p.m., another $1 Wednesday, with $1 Zweigle's hot dogs, peanuts, chips, and Cracker Jack. Louisville took a commanding the lead in the first after Mason Williams doubled on the first pitch of the game. After a sacrifice bunt moved Williams to third, Brandon Dixon doubled against Rochester starter Adalberto Mejia, allowing for Williams to score and give the Bats a 1-0 lead. Mejia then served up a broken bat single to Gabriel Guerrero which brought home Dixon, increasing the lead to 2-0. D.J. Peterson ended the first inning scoring for Louisville after powering an opposite field home run over the right field wall, giving Louisville a 4-0 lead to end the frame. The Wings wasted no time cutting into the four-run cushion given to Bats starter Robert Stephenson as Nick Gordon doubled to put men on the corners with no outs following a walk from Taylor Motter. After an RBI groundout from Gregorio Petit scored Motter, Kennys Vargasdoubled to the left-center field gap to bring Gordon home and cut the Louisville lead to 4-2. Mejia allowed three runs in the third after surrendering four consecutive hits to begin the inning. After Blake Trahan doubled to open the inning, Dixon blooped a singled into right field to put a pair on the corners. Trahan was brought home after Phillip Ervin doubled, giving Louisville a 5-2 lead. Guerrero then singled against Mejia for the second time, allowing for both Dixon and Ervin to score, putting the Bats ahead 7-2. Luke Bard came on in relief for Mejia to begin the seventh inning. Mejia went 6.0 innings allowing seven runs on eight hits while striking out seven. He threw 92 pitches, 61 for strikes. After retiring the side in the seventh, Stephenson's day came to an end. He went 7.0 innings allowing two runs on five hits while walking two and striking out five. He threw 100 pitches, 66 for strikes. Louisville increased the lead to 10-2 in the eighth after Bard allowed three runs on pair of doubles, a home run, and a walk. Bard was replaced by Jake Reed after allowing three runs over 1.2 innings. Reed finished out the eighth inning and pitched the ninth, allowing a pair of runs. Andy Wilkins picked up his second hit of the day, and second home run since joining the Wings on Monday, with a towering homer off the light tower in right field in the bottom of the ninth inning. The Wings loaded the bases with one out against Zack Wice, and Wice forced in a run when he walked Gordon to make the score 12-4. Another run scored on a groundout from Petit. The Bats out-hit the Wings 12-8. Dixon hit for the cycle, finishing with a home run and triple in his final two at-bats.